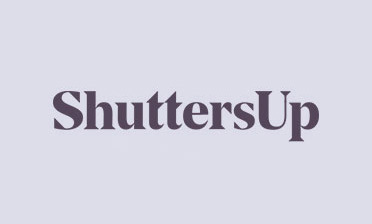 We were in Thornton Heath in South London to fit some shutters to a child’s bedroom to give extra privacy from homes on the opposite side of the road and also give a far more versatile window dressing than the curtains. 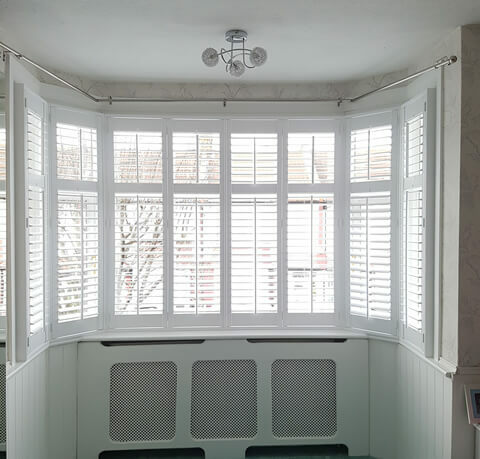 By having our shutters fitted to this large bay window each panel can be adjusted or closed depending on the lighting or privacy needed, which is perfect for a young child’s bedroom. 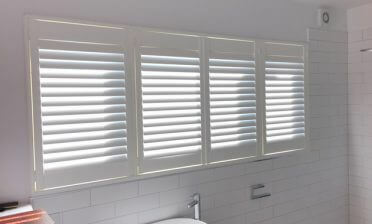 The shutters were created from 8 individual panels with mid rails two thirds of the way up the window to match the window lines behind and also provide the client with the option of adjusting the top and bottom of each panel separately. 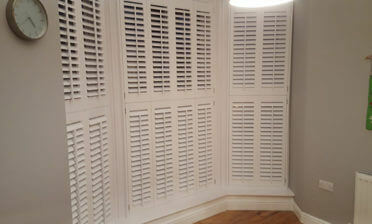 The mid rails also act as a way of strengthening shutters of this height. We created the shutters from MDF with beaded styles. The beaded styles give a little bit of extra detail which is great for those looking to get even more style out of their shutters. The panels were created using 63mm louvres with central tilt rods down each panel, creating a traditional elegant look while also make the panels easy to adjust. We finished the shutters in pure white with matching hinges which looks superb with the existing white wooden skirting and radiator cover below.